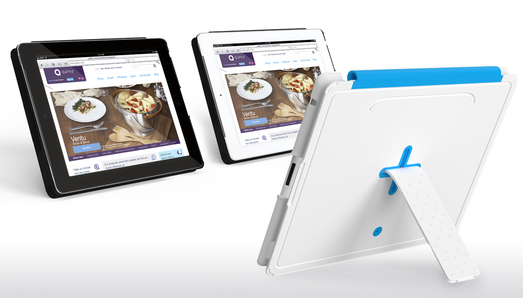 Quirky has redesigned their Cloak case stand for the first gen iPad and made it even more quirky this time. The Cloak 2 for the iPad 2 takes on the Cloak's stand functions, it's now slimmer and snaps onto the iPad 2 with a folio-style design. The redesign allows for the Cloak 2 to be used as a stand in landscape and portrait angles as well as a typing angle thanks to the unique silicone plus and detachable stand design. The Cloak 2 is made out of plastic with silicone accents and will magnetically activate the iPad 2's sleep/wake sensor while using the Cloak 2's front screen cover. Currently the Cloak 2 is on pre-sale via Quirky, much like the Kickstarter process of pre-ordering, it will be available in four color options for a pre-sale price of $45. Catch the video right after the break.